As much as we have come to rely on communications technologies to stay connected and streamline business processes, those providing the access must still pay attention to the impact on the environment. Eco-sustainability in fact is emerging not just as an issue of being a good corporate neighbor, but as important for being a preferred provider of products and services. This is why it has become important that the telecommunications industry use a uniform protocol for measuring the eco-impact of its services and networks. A recent Alcatel-Lucent TechZine article, Seven Steps to Greater Green House Gas Awareness in ICT, explored this topic. It highlights the new global standards designed to create a unified approach to the measurement of green house gas emissions. Focus is on current life cycle assessment tools such as those developed by Alcatel-Lucent (ALU) which can be employed by ICT vendors, particularly the telecom ones, for estimating the eco-impact of services and/or networks in a meaningful and actionable way. The customer service challenge for cellular providers is clear. Numerous research firms have recently published studies estimating that smartphones currently make up half of all mobile phone purchases globally and that number is expected to reach 75 percent by 2013. This is context for what is a vexing industry challenge. It turns out that more than half of all customer service calls to mobile service operators now deal with the difficult technical problems that can come from smartphones, such as mobile internet, and 63 percent of returned phones are not actually faulty. In fact, a recent Yankee Group study notes that technical difficulties now represent a bigger percentage of call center volume than billing issues. They also represent a huge financial drain on operators. A single support call, for example, can cost a provider roughly a month’s worth of customer profit. This means finding ways to effectively address device configuration and service provisioning is more crucial than ever. 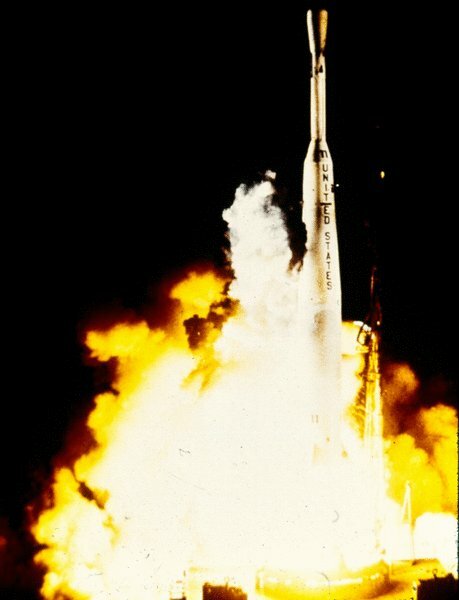 It is hard to believe but July 10 marks the 50th anniversary of the launch of TELSTAR I. This was the first active communications satellite and its placement into orbit is considered the birth of modern multimedia global communications. Developed and built by Bell Labs with funding from AT&T in conjunction with NASA, TELSTAR I, which was a 34 inch sphere, was a true marvel of its time. It transformed communications. It rightfully is considered not just one of the Alcatel-Lucent research arm’s greatest historical achievements, but as President John F. Kennedy noted at the time it really was a turning point in the history of communications. It is something worthy of a significant celebration. The new era TELSTAR I NASA ushered in we now take for granted — high-speed (for the time) data communications, real-time global telephone service and TV broadcasting. The fifth edition of the Global Innovation Index (GII)—which ranks 141 countries on the basis of innovation capabilities and results—was released last week in Geneva, Switzerland. The index was developed by INSEAD eLab and the World Intellectual Property Organization (WIPO), with experience from knowledge partners Alcatel-Lucent, Booz & Company and the Confederation of Indian Industry. The next major cellular technology advancement is on its way. Here comes Wi-Fi roaming. Cellular users often switch between 3G or 4G networks to Wi-Fi to access the internet, especially as cloud services continue to grow in importance. The switch from a cellular service to a Wi-Fi network is not always seamless, especially when it requires first finding a network and then getting through a login screen. But a group of new cellular technologies, in particular the 3GPP Access Network Discovery and Selection Function (ANDSF) and Hotspot 2.0, will change that with what amounts to Wi-Fi roaming, according to a white paper, “Wi-Fi Roaming – Building on ANDSF and Hotspot2.0,” jointly produced by Alcatel-Lucent and BT. The battle for the best mobile device portfolio steals the headlines with its flashy array of smartphone offerings. However, increasingly it appears that the war will be won by the mobile broadband operator who provides the best customer experience as enabled by overall quality of experience (QoE) on their network. Mobile service providers throughout the world are in an interesting competitive situation. The service provided is becoming a commodity by consumers. This means that true differentiation in this market going forward will be driven by customer experience transformations, such as those enabled by Alcatel-Lucent’s portfolio of Motive Customer Experience Solutions, as traditional approaches prove to be increasingly ineffective. Market realities today are that consumers tend to avoid brand loyalty when considering services delivered and even price points when there is little differentiation. As a result, mobile service providers by competitive necessity must pay particular attention to establishing exceptional customer experiences if they hope to achieve business success. The focus must be on building trust with customers over time and increasing customer perceptions of the value of the customer experience, rather than leveraging services and products. Alcatel-Lucent s recently shared its view on this in a piece entitled, “Customer Experience Transformation: The Mobile Customer Experience Imperative.” It highlights these market changes and what service providers need to be thinking about in order to be correctly positioned for success. Increasingly, corporations around the world have recognized that they have a responsibility to be good stewards of the earth’s resources and to act in an ethical manner that promotes sustainability. Alcatel-Lucent considers corporate responsibility to be an important business imperative, and also believes that doing well and doing good can and should be mutually inclusive. A recent Alcatel-Lucent 2011 Corporate Responsibility Report explores the company’s commitment to playing a key role in being a good steward. Alcatel-Lucent intends to continue its focus on not only making the communications solutions it produces eco-friendly, but doing so in a manner that also ensures they are accessible and affordable so that the full potential of a connected world can be realized. Customers have growing expectations for mobile broadband services. Better networks, broader device support, ubiquitous connectivity and competitive prices remain essential, but they’re no longer enough to keep customers coming back for more. Today’s mobile customers demand a superior customer experience, one that focuses on making it easy to discover, use and enjoy applications, devices and services. Service providers are feeling the pressure to deliver on these expectations. Rising smartphone use is thrusting quality of experience (QoE) back into the spotlight. Smartphones appeal to users because they promise easy access to e-mail, apps, social networking and video. But smartphones have hidden complexities. Many users struggle with smartphone setup, app configuration, usage tracking and connectivity. The end result is that smartphone users are turning to service providers more often — with problems that take more time to resolve.